Video Transcript: I had a secret. I kept it under wraps for years because when I tried talking about it people thought I was being ungrateful. My secret? I suffered from depression. I still do, but I have had the good fortune of eventually stumbling upon people who also suffer or have suffered from it and understand what it's about, people who don't aggressively blame me for it, but don't let me wallow in despair either. Before I go on, let me just say... If you suspect that you suffer from depression or some other form of mental, emotional, internal disturbance, DO NOT SELF-DIAGNOSE. Please seek help. Depression is not a joke and there is no one size fits all solution. I should know, I had a close family member who didn't make it. So I can't say it enough; seek help! Also, please note, what I am about to say is based on my personal experience. I am not a mental health professional or your overbearing mother, and I am not qualified to define or analyze anyone else's circumstance. My objective here is to simply share what I personally went through in the hopes that it might prove relatable to someone. So what does it feel like to have what I have? But then something shifted ever so slightly, and I don't quite know how and why it did. Perhaps a combination of my unique chemical and mental make up and the demands of a changed environment made it possible, or maybe a huge purple villain from another dimension snapped, and instead of eliminating 50% of the population, his snap shifted brain cells. Whatever the cause, I noticed, I had suddenly gotten up and began to drive myself over cliffs of excess. I’d become so concerned about time or my perceived shortness of it that I start work at dawn to ensure I make the most out of my day, but even then I end up deeply dissatisfied with the day's work. When I'm not working, I either stuff my face senseless or I sleep --- a lot, one time clocking in a record 20 hours of sleep on one of my mandatory holidays. I sleep so much during my days off I'd likely pass off either as a cat or a piece of furniture. But despite all the seeming rest I get, I still end up perpetually exhausted. But there is one other thing I do even more excessively than eating or sleeping --- reading. In 2016, I read 61 books and listened to 24 audiobooks, a total of 85 books consumed in one year. This, combined with my two other favorite excesses, has resulted in extremely dark eye rings and a fairly even increase in my horizontal dimensions. 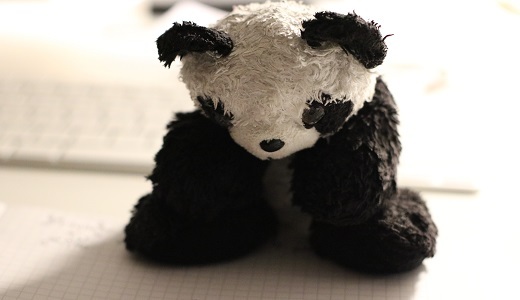 Yes, I really look like a sad panda right now. Feeling like a panda. Thinking like Batman. I’ve been told this seemingly frenetic mutation of my earlier condition is called high functioning depression, also known as, the Batman state of mind (just kidding) --- also known as, dysthymia or persistent depressive disorder (PDD). Earlier in 2018, I went through another major shift. All of a sudden, something just lifted. There is still some feeling of heaviness, but I feel a lot lighter now, and I've done a lot more different things besides reading, eating and sleeping. By the end of 2018, I only managed to read 25 books, and looking back at 2016, I can't imagine how I finished so many.